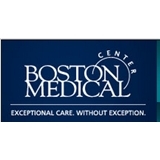 Boston Uni OB/GYN Yawkey Ambulatory Care Center (Boston) - Book Appointment Online! The Department of Obstetrics and Gynecology at Boston Medical Center (BMC) is a nationally recognized leader in women's health. In keeping with BMC’s mission to provide exceptional care, without exception, we contribute to the long-term health and well being of the women we serve by consistently providing the highest quality medical care to each and every patient. It was great and understandable/explainable. Very Friendly! Provided privacy, she explains every procedure as she proceeds to the next tasks. She is amazing and has a lot of knowledge to share. I was glad that I was able to learn a few things from her. Everything she said had some lights in it one way or the other. Thanks again! Sarah was really knowledgeable and friendly. Very caring.